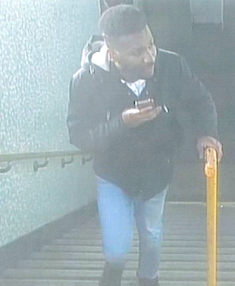 Essex Police would like to speak to him in connection with a fraud in Harlow. It comes after a vulnerable woman reported that she had been defrauded of £55,000 between August 2018 and January 2019. They believe this man will be able to assist us in our enquiries. Anyone with knowledge of his identity or whereabouts is asked to call the Serious Economic Crime Unit on 101 quoting the crime reference number 42/29468/19. You can also call Crimestoppers completely anonymously on 0800 555 111.